Built to Fight: These shorts are made for fighters looking for an extended range in their fighting abilities, without hindrance from the clothes they are wearing. 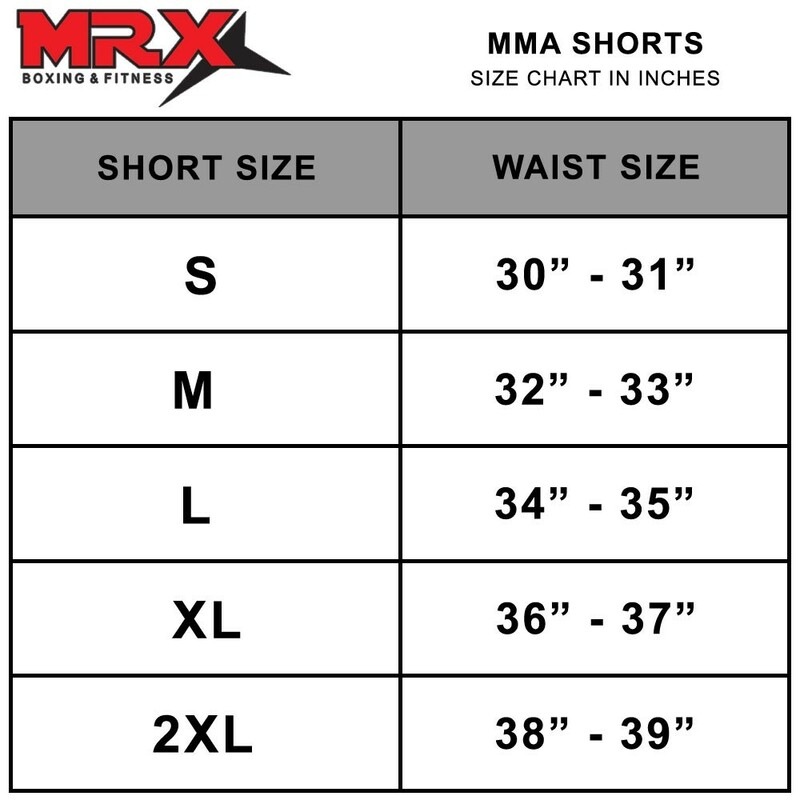 Quality Stretch Materials: These shorts feature micro material that provides an extra stretch in the crotch and thigh areas. Advanced Closure: The advanced hook and loop closure ensures a solid fit that won't slip when the fighting gets though. 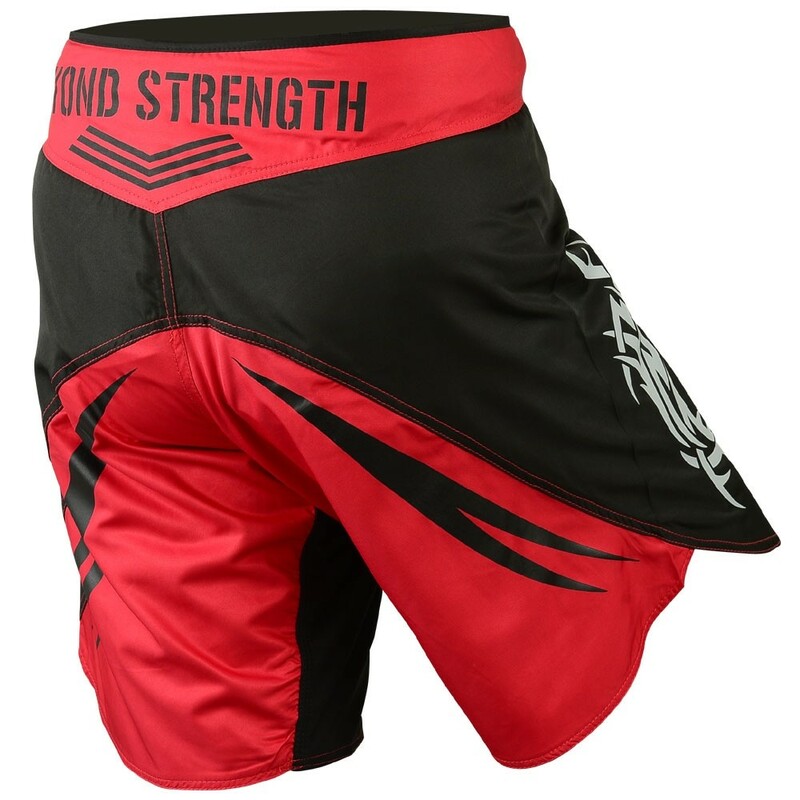 Extremely Flexible: An advanced slide split gives extra freedom to fork kicking movements while training Kickboxing, Muay Thai Boxing, MMA. Premium Logos: All logos are done via a high-quality screen printing and embroidery process. 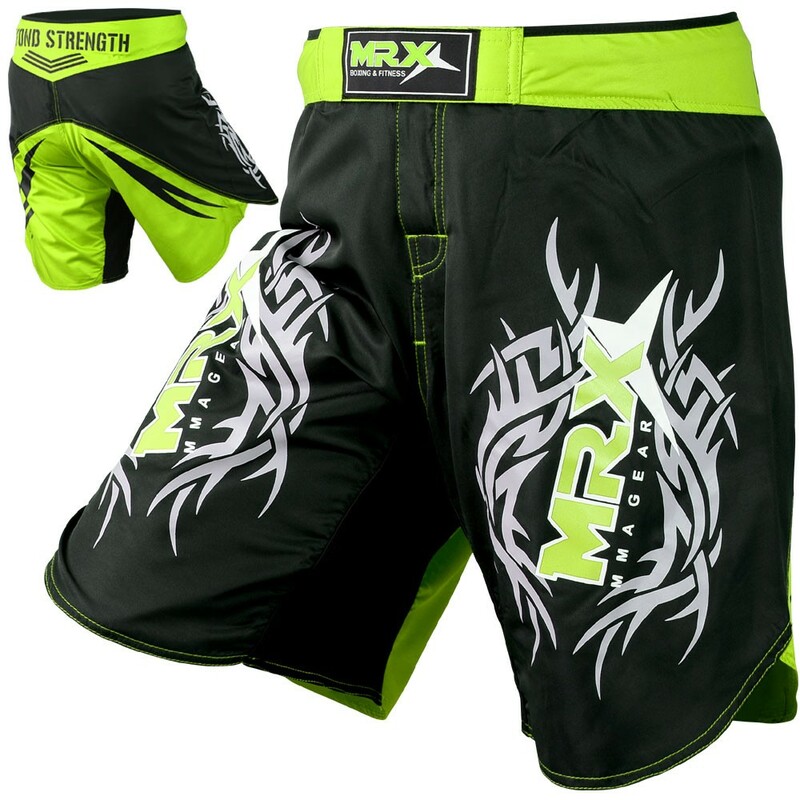 Upgrade your Mixed Martial Arts game with the MMA Fighting Shorts from MRX. 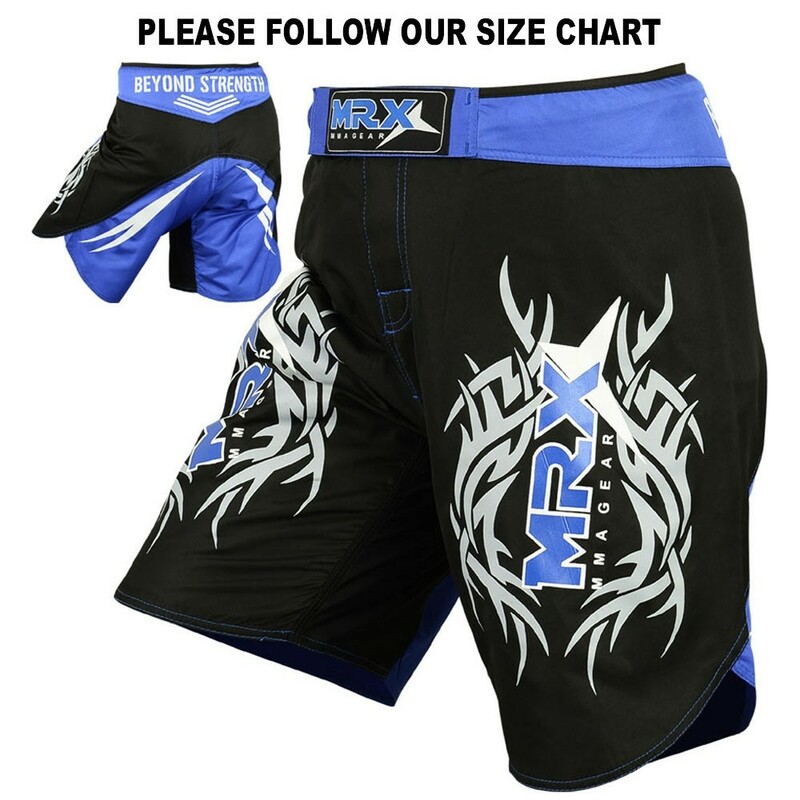 These stylish shorts are created from a micro-fabric for extreme flexibility, featuring 4-way stretch fabric in the crotch area, and an advance side split for an added range of movement, especially while kicking. 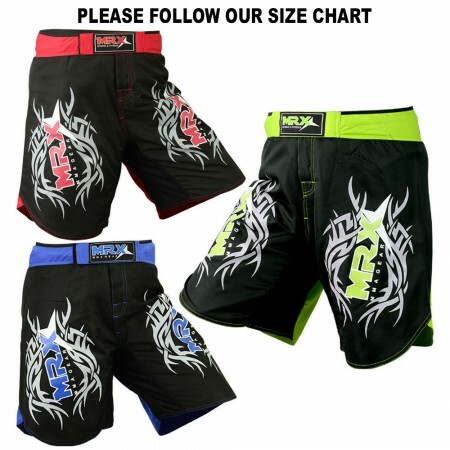 The seams are sealed with 3-needle stitching that can withstand the most extreme amount of force. 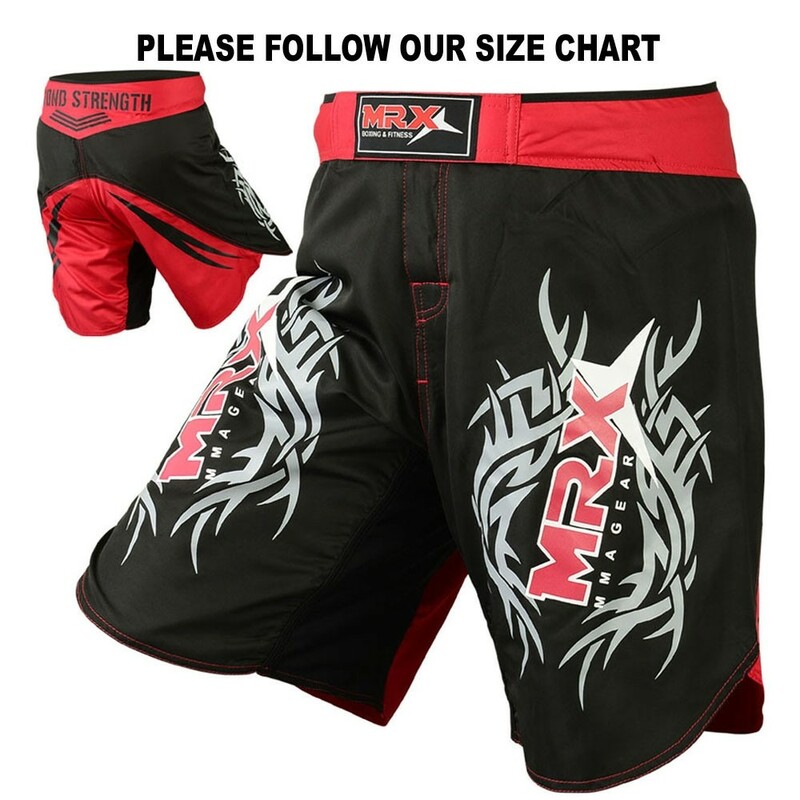 An improved loop and hook closure system has been incorporated into the shorts at the waist flap and fly, for a better fitting short that won’t fall off when the fighting gets tough. 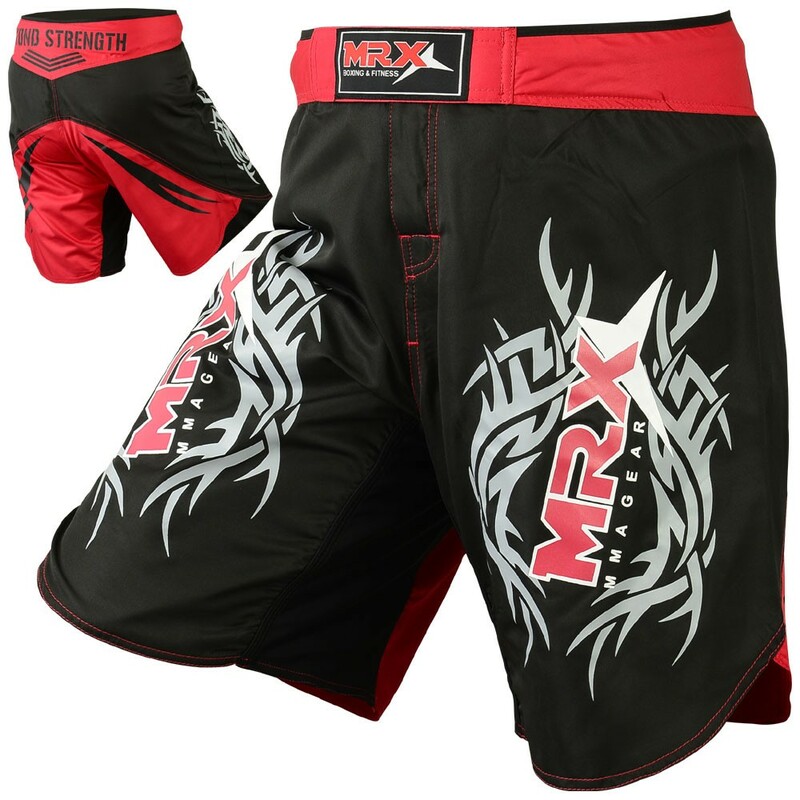 An added inside pocket provides convenience, giving you a spot to store your mouth guard or keys. 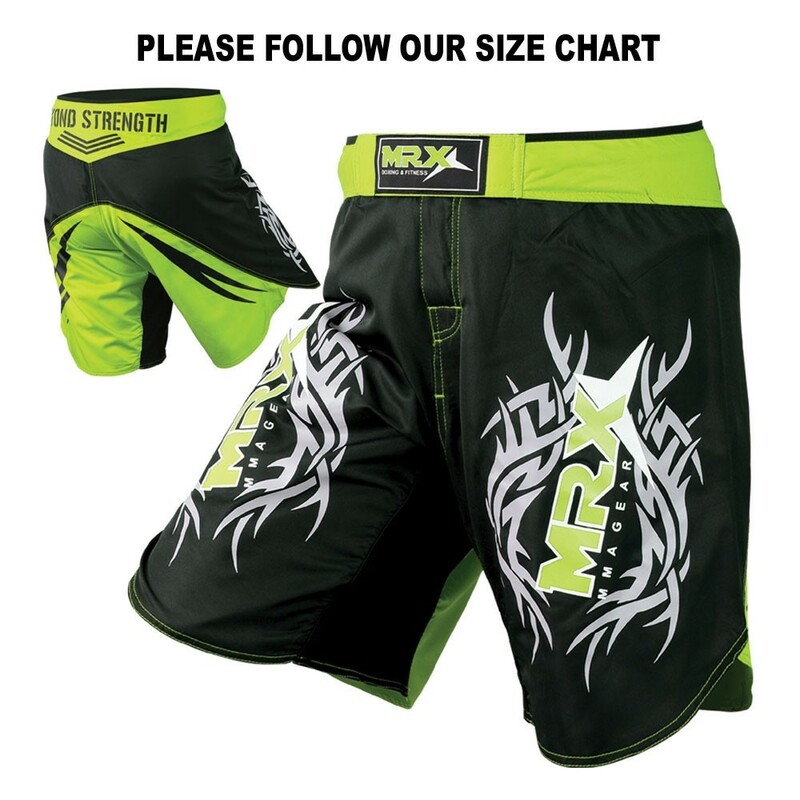 These MMA Fighting Shorts are available in Men’s sizes, colored in a unique design of green and black, with high-quality screen printed logos on the front and backsides, and embroidered badge on the front belt flap. 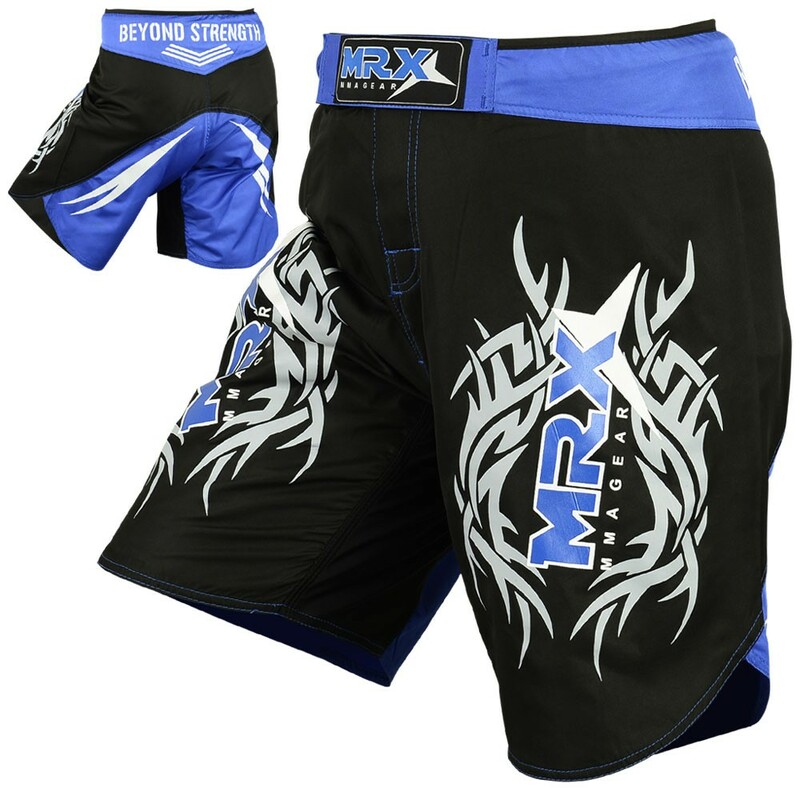 Look the part your next fight, and gain an added advantage of flexibility in these MMA Fighting Shorts from MRX.